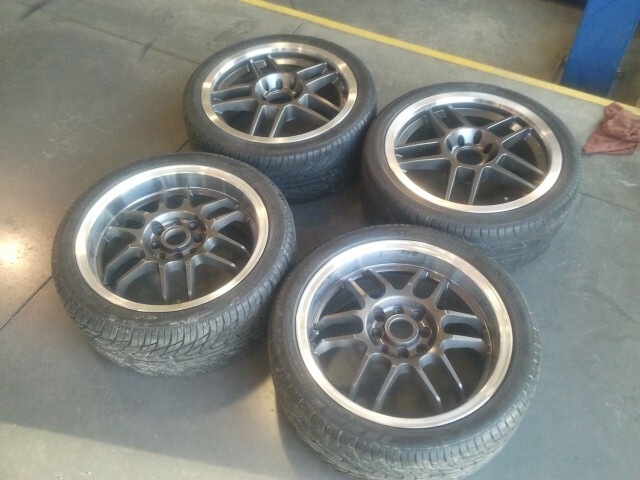 Team Integra Forums - Team Integra > General > Appearance > What kind of rims are these? I'm going to pick these up soon but I wanted to know if anyone knew what rims these are exactly. The seller said the top set were enkei's but don't know the model, and the bottoms might be sparcos. I think the bottoms are rotas. If anyone can chime in, it would be greatly appreciated. Not sure about the bottom ones tho..
"When life throws you a curve, downshift and take it hard"
Well I did a google search of the sparco rims and I found one pic that looked like the ones you have pictured here. But my work internet is restricted and wouldn't let me open the pic up. Just type in sparco wheels and scroll down a bit till you see it. all I found were NS2/NSII. lol. I do that myself. A lot of times it's better to do a broader search then being specific when you are trying to track something down. yeah man for sure. I believe the bottom set are Rota MSR since I can't find any sparcos that look like it. Sorry to hit a somewhat old thread. Bottoms are Rota MSR... replica of Works RSB. yeahh Thanks, I checked the inside of the rim before I put them on and it said rota so my hunch was right.